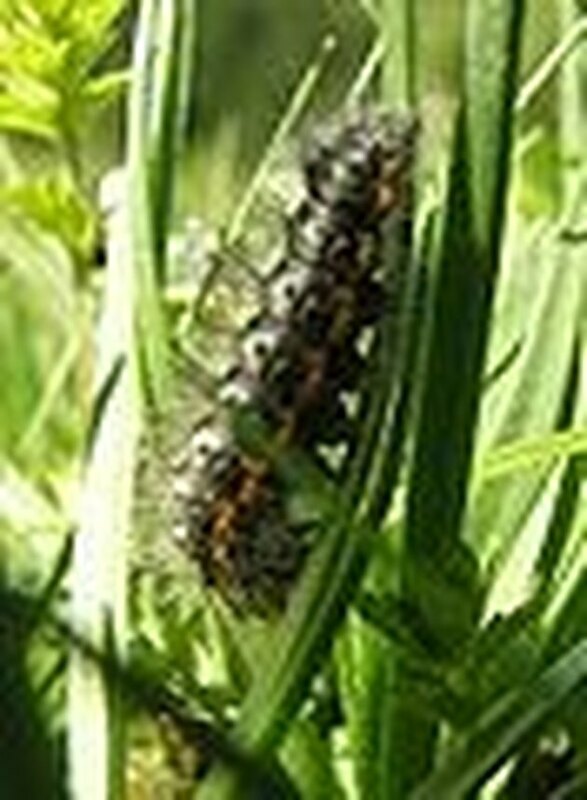 Caterpillars are a common garden pest. They eat away at plants and do a lot of damage in your garden. This spray is a very effective natural pest control. There are many commercial pesticides available, but those are full of harmful chemicals. The chemicals are not only harmful to the caterpillars, they are harmful to your family, pets, animals and the beneficial garden bugs. If you are looking for green pest control, this is a great spray to kill caterpillars without the help of an exterminator. In a blender or food processor add 2 cups of fresh chives, 2 cups of fresh spearmint leaves, 1/2 of a cup of hot pepper sauce, 1 horseradish root or half of a cup of already made horseradish. Use the blender to puree the ingredients into a paste. Pour the blended ingredients into a large glass jar. Add about 1/2 of a gallon of boiling water to the jar. Stir in approximately 1/2 of a cup of liquid dish washing detergent. Let the mixture sit and steep for 2 to 3 days. Pour the mixture through a strainer or coffee filter into a spray bottle. Clearly label the spray bottle with all of the ingredients. Spray your natural pest control on your plants and the ground around the plants.